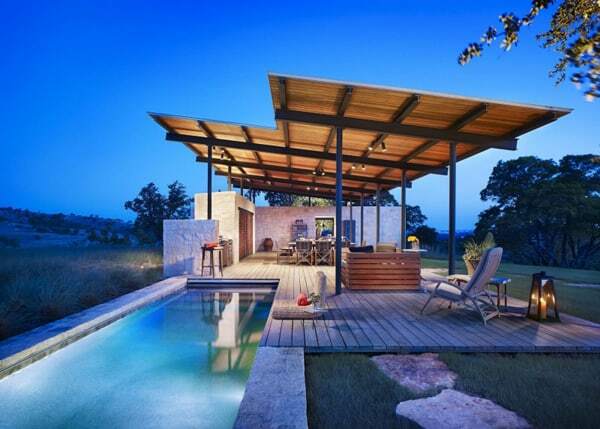 Story Pool House is an open air pavilion with a living room centered around a swimming pool, designed by architecture studio Lake|Flato, located in Center Point, Texas. 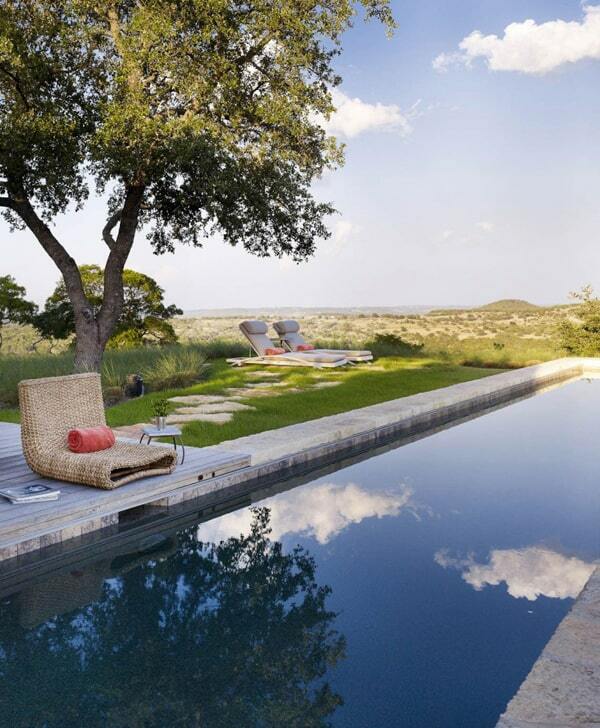 The property offers a slice of paradise enveloped by nature, with sensational views over meandering rolling hills. 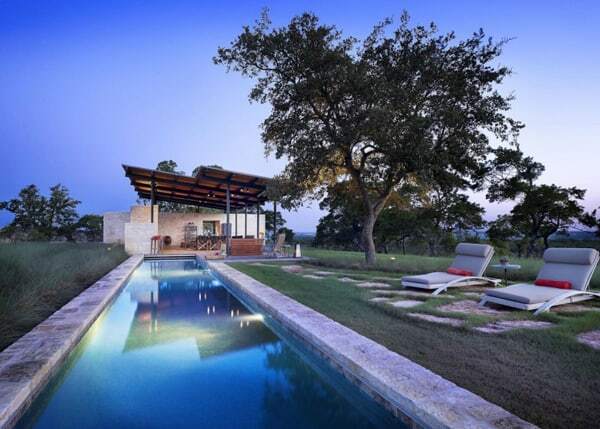 The pool house is a simple, open air pavilion that serves as a “sunrise to sunset” living room. 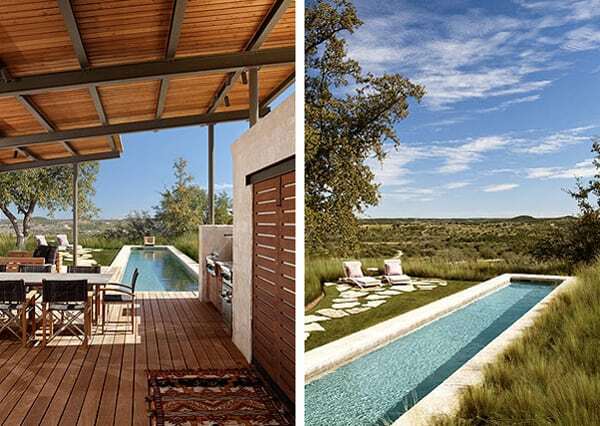 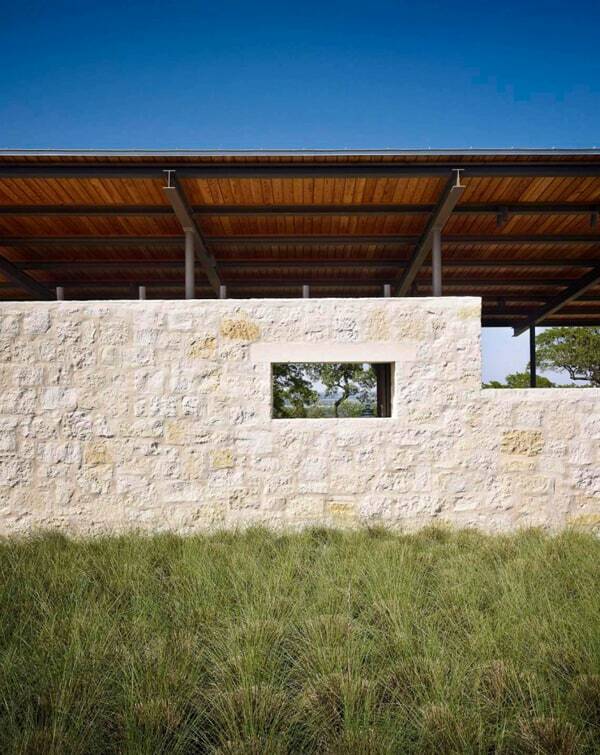 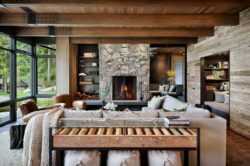 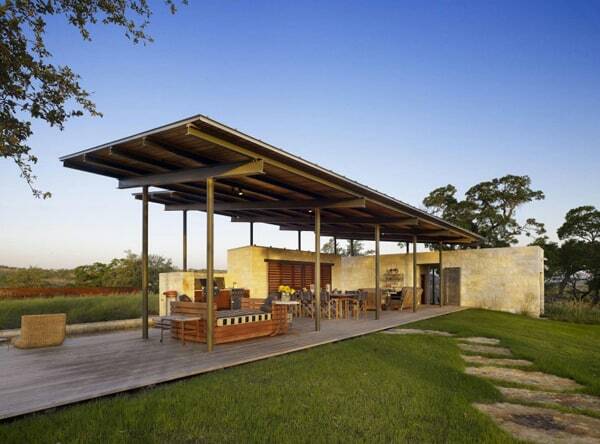 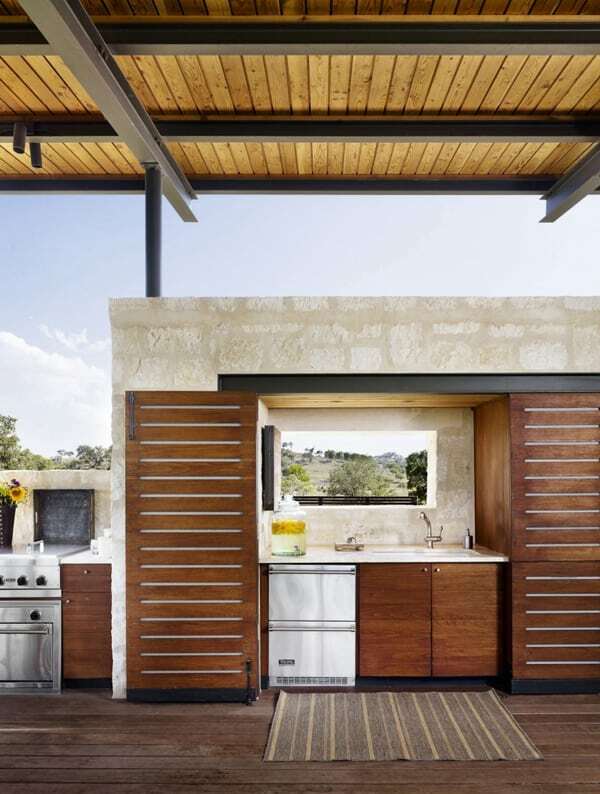 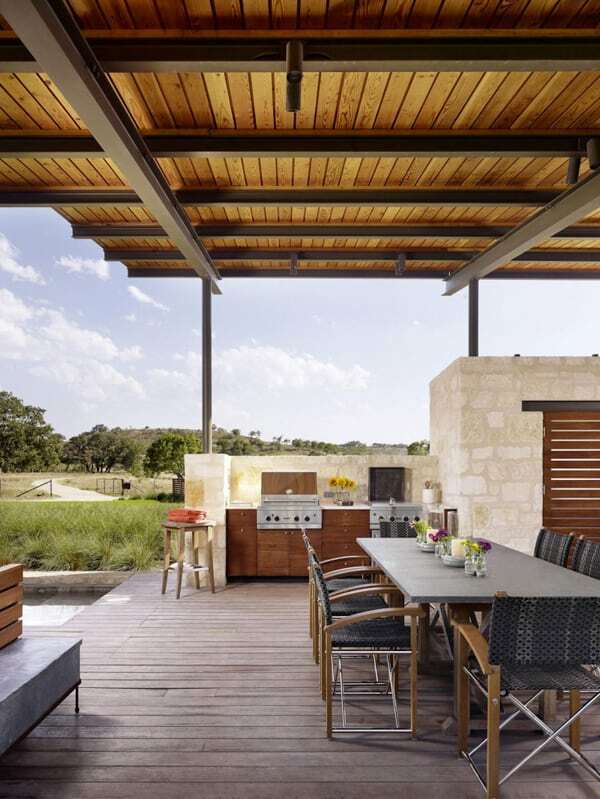 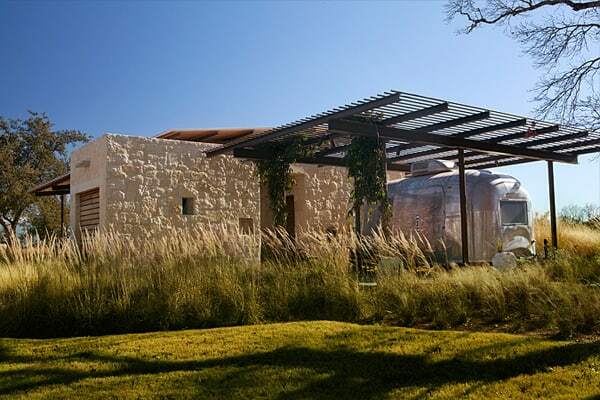 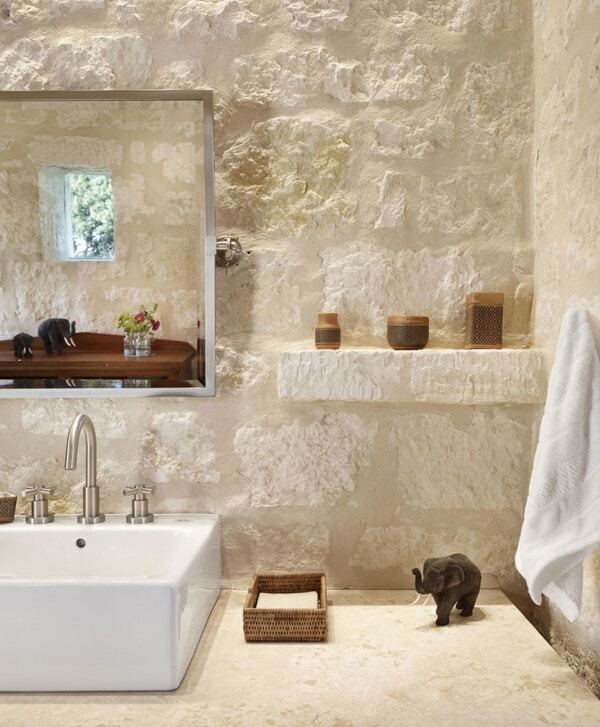 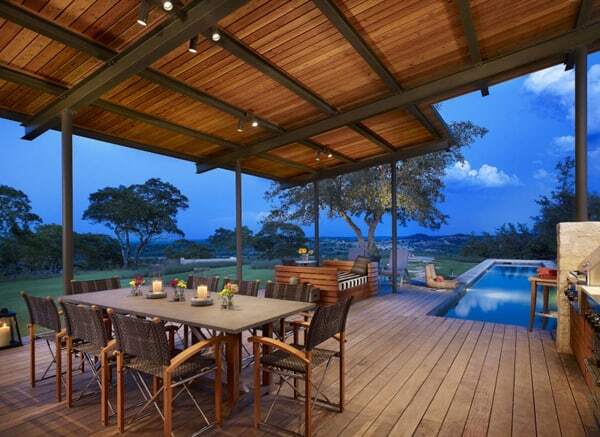 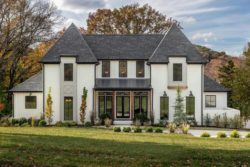 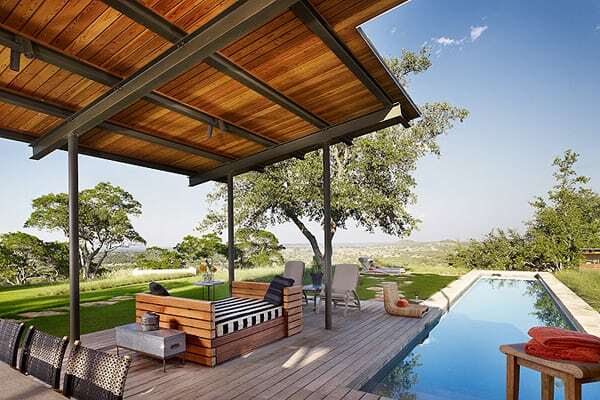 Created from Texas limestone, steel and wood, the structure provides shade from the hot sun and includes a full kitchen, screened bath, dining space and storage area. 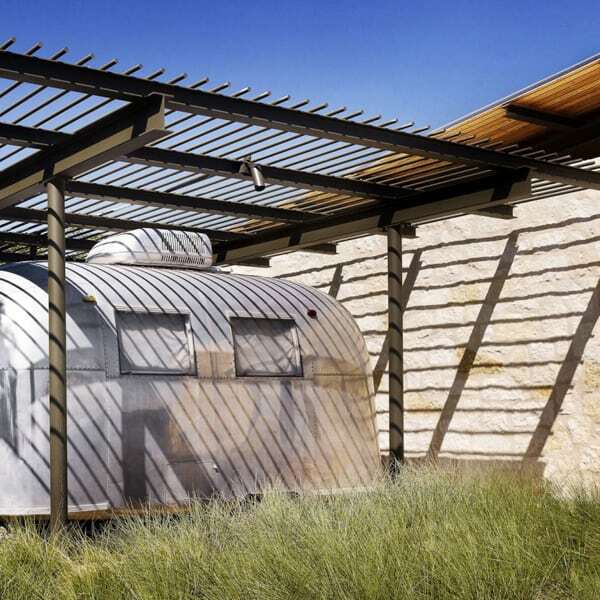 A private deck under the vine-covered arbor creates a special space for the Airstream. 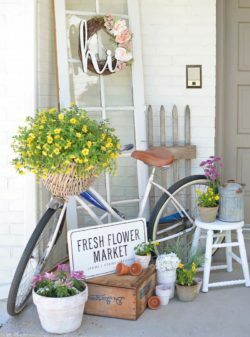 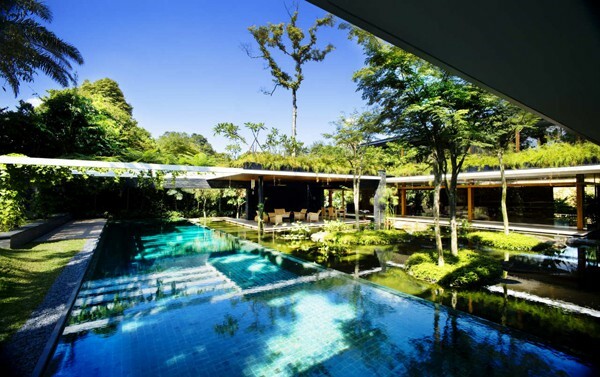 The cooling effect of the water completes the sense of place in this much-loved oasis. 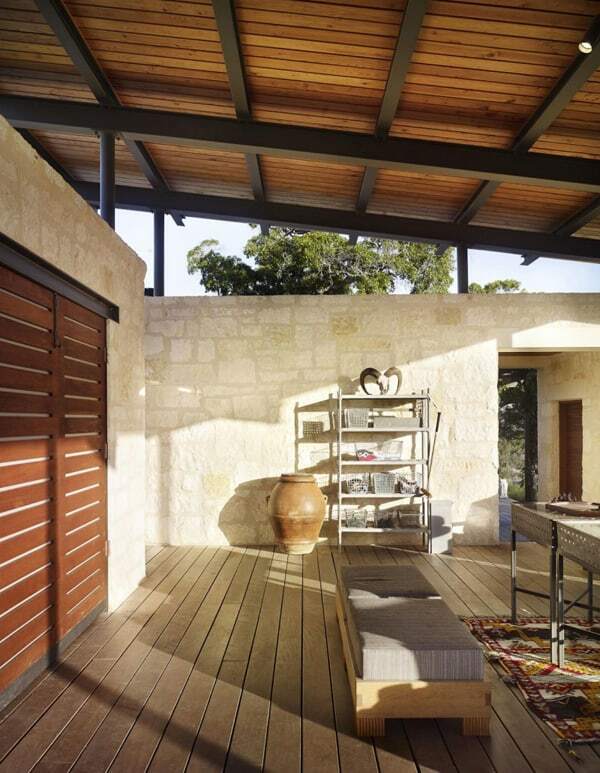 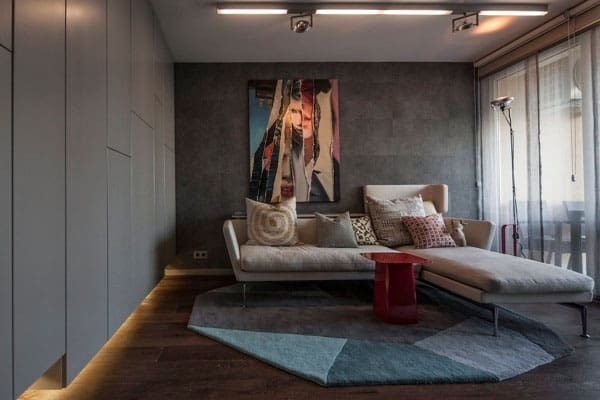 Lake|Flato fosters a collaborative open studio environment that leverages each person’s passion and unique talents to develop common ownership of award winning design. 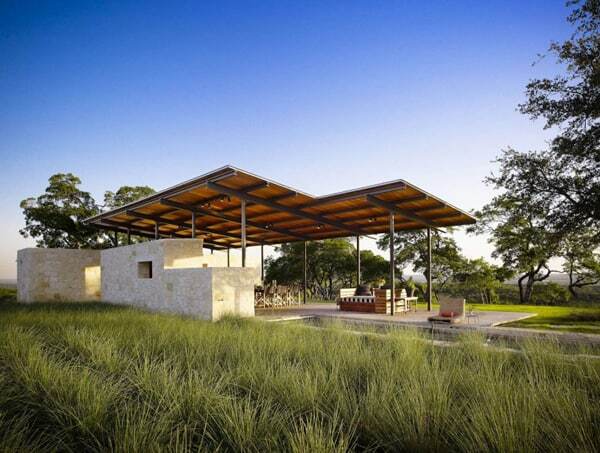 As architects, teachers, environmental stewards and community advocates, Lake|Flato seeks to foster the education of the next generation of architects. 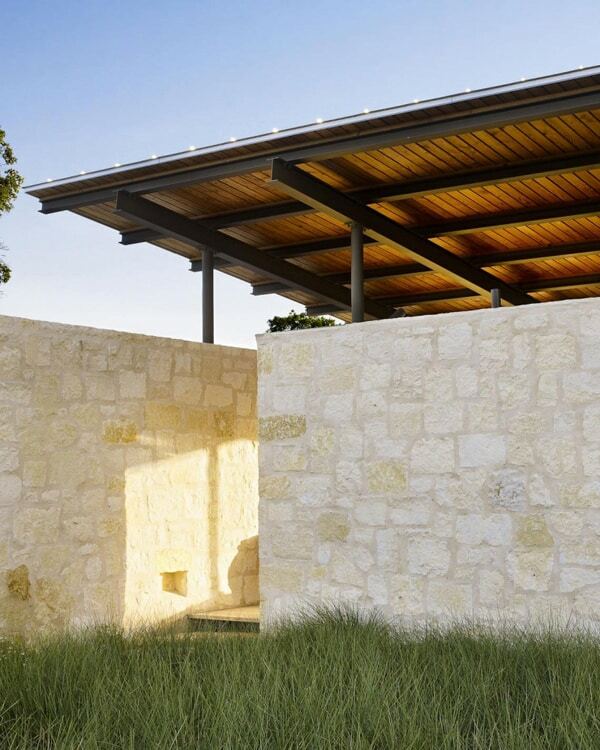 We do this by exuding excellence in our efforts to integrate design and sustainability, through our engagement in civic focused community development.